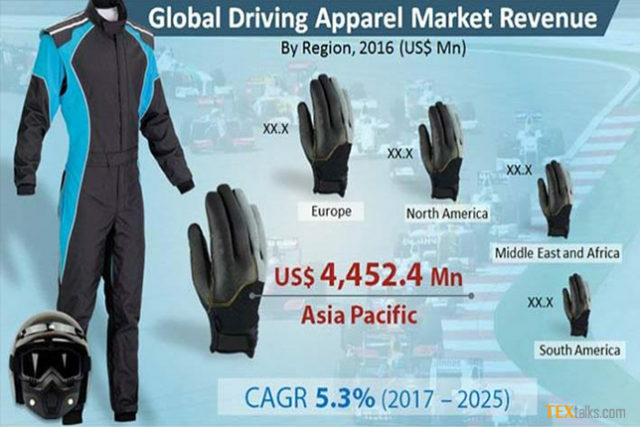 Driving Apparel Market (Product – Clothing, Footwear, and Protection Gear; Vehicle – Two Wheeler and Four Wheeler) – Global Industry Analysis, Trend, Size, Share and Forecast 2017 – 2025. Numerous players locked in a tight battle for greater market share makes the global market for driving apparel both fragmented and competitive. Some of the key players in the market are Alpinestars S.p.A., Fox Head Inc., Dainese S.p.A., PUMA SE, Scott Sports SA, ThorMX, and Adidas AG. In order to stay ahead of the curve in such a competitive market, players are banking upon product innovation through upgrade of features and functionalities of existing products. 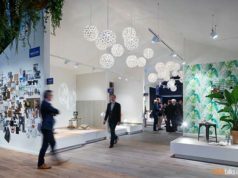 They are also taking the organic route of mergers and acquisitions and carefully-considered alliances to improve their geographical outreach and diversify their product portfolio. Such moves will likely make the market consolidated to an extent in the near future. 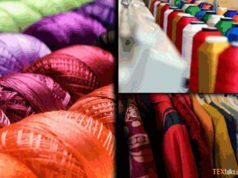 A report by Transparency Market Research projects the global market for driving apparel to rise at a steady 5.3% CAGR during the period from 2017 to 2025. Expanding at this rate, the market valued at US$12.03 bn in 2016, is expected to attain a value of US$18.56 bn by 2025-end. The different types of products in the global driving apparel market are footwear, clothing, and protection gear. Of them, the segment of protection gear held maximum market share of 50.0% in 2016. Geographically, the main segments of the global market for driving apparel are North America, Latin America, Europe, Asia Pacific, and the Middle East and Africa. Asia Pacific, among them, is the most attractive market for driving apparel. In terms of revenue too, the region emerged as the market leader. 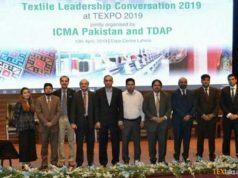 The market in the region is being propelled by the rising research and development initiatives by product manufacturers keen on launching better products. Easy availability of international brands via different retail channels and growing mandates by governments for wearing protection gear to reduce the chances of injuries during accidents are also positively impacting the market. The increased uptake of protection gear and safety accessories among vehicle riders concerned about their safety is at the forefront of pushing growth the market for driving apparel. Numerous laws and regulations pertaining to safety that make it mandatory to wear jackets, helmets, and other protective clothing is serving to fuel the market substantially. Motor safety agencies recommend use of driving apparels as they are thicker and heavier than usual clothing along with features such as substantial zips, weatherproof closures and pockets, higher collars, and even armor. For instance, jackets meant for driving have heavy padding on the spine, shoulder, and elbow. Similarly, gloves are fabricated from leather and carbon fiber with knuckle protection. Apart from such safety features, soaring interest in motorsports, which is dangerous and hence strictly requires participants to wear quality protective gear, is also boosting demand in the global market for driving apparels. Further, easy availability of protective gear, namely helmets, jackets, boots, etc. through a number of retail channels is likely to push up demand too. On factor hindering the driving apparel market is the competition from the unorganized sector. The presence of numerous local manufacturers offering poor quality products at cheaper rates is proving detrimental to the market.